I’m not going to lie. I never cared much for Labor Day. And it’s silly – it’s supposed to be a holiday to honor folks like me – people that work. How nice that people who work hard everyday have a holiday to honor all that we do. Summer is by far my favorite season of the year. It is everything water in the Northeast. Everything that is associated with water in our area is closed after Labor Day. It stinks. It’s a marking that fall is right around the corner. Which means that the season of death is very soon to follow. Labor day has always marked the end of summer (or the start of school) for me, so I always found myself down this day. Today was no exception. There is a Ren Fest down in the city area that last until the end of September. I intend to venture down there either the weekend of the 20th or the 27th. Holler. For unspoken reasons, I have been drawn immediately to Little Falls, NY. My sweet guy and I are taking a day trip next week to go hit a local gem and jeweler. After that we have reservations at Beardslee Castle. Apple picking in Greene County. While we are swinging through the many orchards down there, I intend to check in on my friend Titan the Tiger at my old stomping ground – Bailiwick Ranch and Zoo. 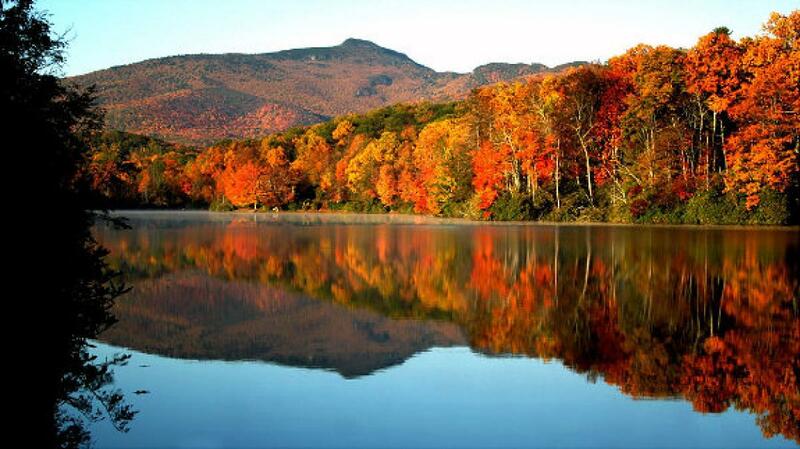 There are plenty of beautiful places around to take a hike while the leaves turn. I always seem to miss it every year. I have special plans in the beginning of December to hit up an Indoor Water Park. I have not been to one this year (which is one of the reasons why I am so crabby today), but I will make up for it in a few months. I want to go to the Log Jam for dinner afterwards. Yes, this day is about ME. A few odds and ends, such as working with a fellow craftsman/artist on a project…or checking out some consignment shops to unload some of my gear after all of my weight loss! Hopefully I will keep it off this winter. Now, this should give me so much to do that I will not have anytime to breathe, let alone get a drive-by wax at Fantastic Sam’s. However, I always find time to make things from SCRATCH. Sundays are my “planning” days as far as food preparation is concerned. I love making a homemade apple sauce (if he will help me peel apples). I make amazing soups that will warm your soul and keep you healthy the entire cold season! And the crock pot? Thanks to my baby sister hooking me up with a new high tech digital device for my birthday this year…it’s going to be on in my kitchen this cold season. This is a very healthy and quick breakfast/snack. These little guys freeze well and thaw so wonderfully. For a breakfast on the go, just grab a couple in a tupperware container and nuke them for 30-60 seconds and BAM! You got a quick, hot and healthy breakfast that is packed full of protein. In a skillet, use cooking spray to cook up the veggies. Cook them up pretty thoroughly. Set aside. Spray the muffin pan. Add a scoopful of the cooked veggies to each muffin chamber. Be careful not to add to much, especially if you are using a mini pan. Sprinkle a little shredded cheese on top of the veggies (optional). Pour egg beaters/whites into each muffin chamber, not all the way to the top. 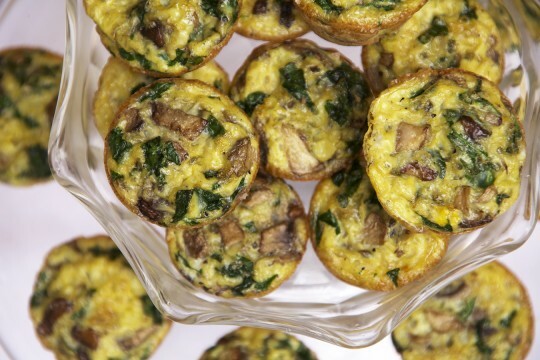 Leave some room as these mini quiches will grow. Bake for 7-15 minutes, keeping an eye on the quiches to make sure that they don’t overcook. Remove the mini quiches and enjoy. Or save for later. These mini quiches are also great served with a tossed salad for lunch. Enjoy! Awesome idea for earrings! The possibilities are endless. 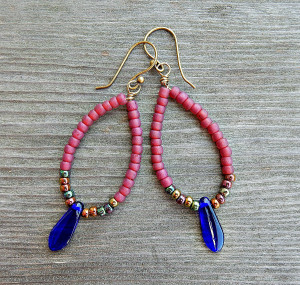 I’ve been asked to get a tutorial up for these fun and colorful Boho-style earrings. Simple and, hopefully, comprehensible ! or iridescent ones for visual contrast/interest. and go make yourself a pair…or two or three ! to win a ready-made pair for yourself! Giveaway closes on Tuesday, July 8th. Winner’s choice of one of these pairs ! There was more, but this is all I could remember that I included in this kit. Each kit contained items totaling over $150 each. My family will never be without aid if stranded in their vehicle. Now, I did something a little more advanced for myself. Keep my background in mind: I’m a Red Cross Certified Professional Rescuer, a Fire Marshall at my day job and I am all about self-defense and preparing yourself. This last note could be an entire blog entry on its own. Car stuff – jumper cables, tire changing, AAA, washer fluid, etc. I should keep a real blanket, my extra combat boots (and socks), non-perishable food, baby wipes and toilet paper in my truck. It’s probably a good idea. With the exception of an EMP, my vehicle is all set for a bug out if the need ever came up. I even have plans on where to go. Where to get gas and food first and then various locations. Again, another blog entry. What do you keep in your vehicle? Do you ever think about what you would need in the event of an emergency? Finally. I found the medium that I’ve been looking for to create stacked wire beaded bracelets. Memory Wire. This stuff is great! It’s so tough that it won’t bend. Repeat: Will not bend. It took some serious elbow grease to actually bend a couple of closer hooks on the end. But not bad, I’ll tell ya, not bad at all. I stumbled across this when I was waiting to get my name changed at the Federal Building in downtown Albany. I got all my paper work filled out, all my divorce documents, and all my ID. I was ready to go! Except there was a wait. I decided to take this waiting time and browse on my phone on jewelry making. Exacly what kind of wire is that used to make these lovely stackable looking wire bracelets? All the other wire that I have bought can bend so easily. It didn’t matter how hard I got the wire, or how thick. They all could bend by hand. Well, that wouldn’t do. So, upon my research, I ran across a site that showed me where I could buy some. And then an unusual event happened – I didn’t buy it online right there on the spot. I waited. I waited in that hot crowded room and waited to finish my business at Social Security. Then I took myself, my latte and my agenda to A.C. Moore. After all, not only did I have a couple of coupons and I knew they were having a sale…but I also already got the entire morning off from my day job. Away I go. And there is was. It wasn’t what I expected it to be. It’s much smaller than I thought. Oh well, I’ll give it a try. Hey, if I can drop some serious coin on other random wire that I now have no idea what I am going to do with…I can certainly buy this. Besides, I had a coupon. I picked up some chunky larger seed-like glass beads a while ago. These beads are a very good quality. They were perfect with the memory wire. I decided to make a few cuff-like bracelets. I think they turned out lovely. I cannot wait to make more. Adjustable Memory Wire Beaded Bracelets for Sale! Memory Wire Beaded Bracelets on a Saucer! I’ve been spending a lot of time making bracelets. Lots and lots of bracelets. The same, stretchy bracelets. I’ve got so many of them. At first, creating these kinds of bracelets was extremely challenging for me. But then, I really got the hang of it and then it became fun. Now, it’s just too easy to whip these guys out. It reminds me of when I played the game SKYRIM. When I first started encountering dragons in the game, it was very difficult. I had limited resources, very little skill and I was apprehensive to try anything spunky. After a while, it got easier and easier. It then got to the point where I could kill a dragon with three strikes of my enchanted two-handed sword. I even started taking on two dragons at the same time. That’s when it wasn’t fun anymore. The challenge was no longer the there. And that’s when I decided to end the game. The beading game is absolutely not done. There is so much more for me to do. I’ve tried doing threading work with beads. What a chore! I’m sure after with some practice that I will be very good at it, just like I am with creating elastic bracelets. So I decided to take on a new medium: Wire Working. The past month I have been doing a lot of wire work. At first, it seemed really difficult. But with some practice, I’ve really have gotten it down. And it shows – I have created some really beautiful pieces. 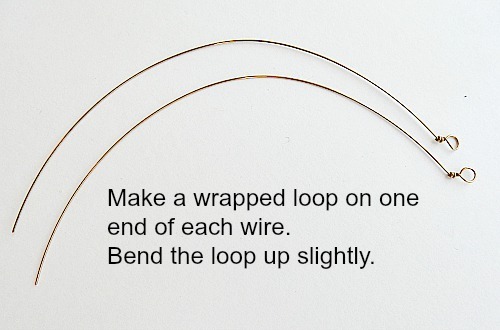 I’m not going to lie – Wire Working is very tedious and you have to put your “perfections” aside. 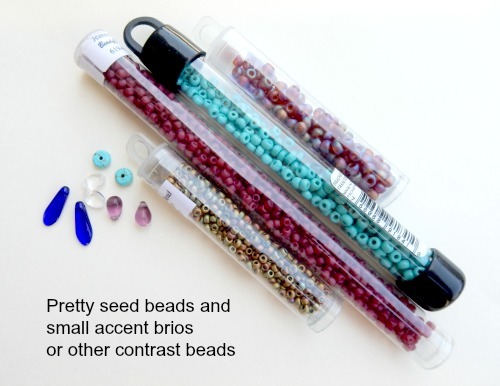 Like making beaded stretchy bracelets, you need to learn how to correct your mistakes. You figure out how to fix what you break. There is trial and error, and you always take away something from each project. Wire working is something that I really enjoy very much. It’s always rewarding to finish a beautiful piece of jewelry…something that I made from hand with tools and materials that I chosen myself. Wire pieces you can really open up. 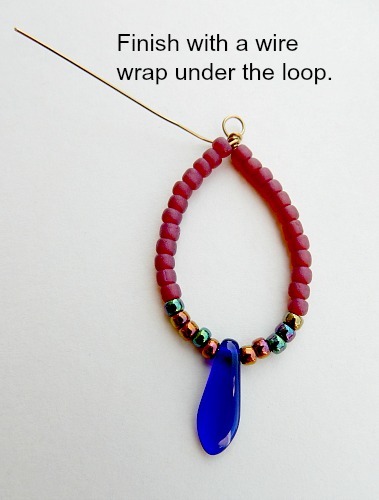 You can be very creative with designs that you make, with the way you place your beads…the possibilities are endless. I’ve picked up some new virtues in wire working. Patience is key, as well as always looking out for the bigger picture. Of course, my analogy to SKYRIM really hits home. Practice and a little guts is key. 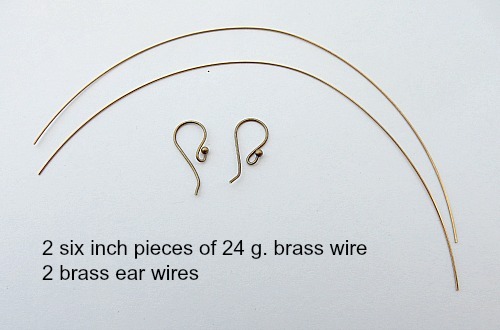 I’ve started to develop a new type of product in my wire working. Sort of a “new line” of jewelry that I am offering. I am offering necklaces that can be worn in different ways. They will include expanders and accessories, and you can add on other pieces if you wish to. Everyone loves to make the most of what they got, so why should jewelry be any exception? Hand wiring up some beads for I have no idea what! 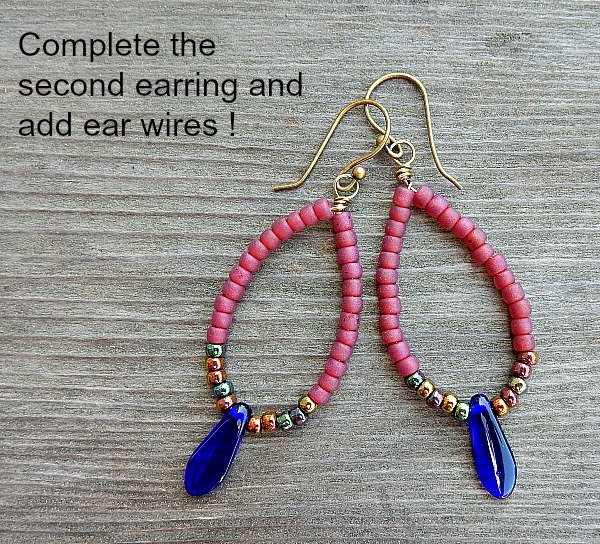 Try out new things…one bead at a time…and one wire wrap at a time. 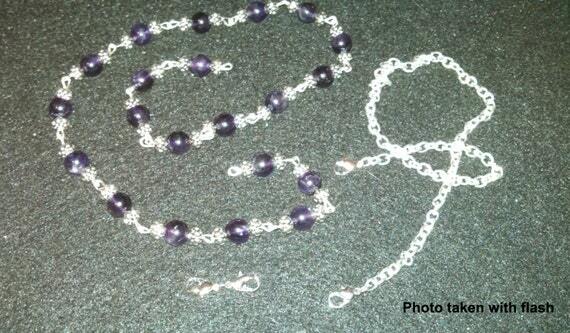 Two in One Amethyst Necklace. 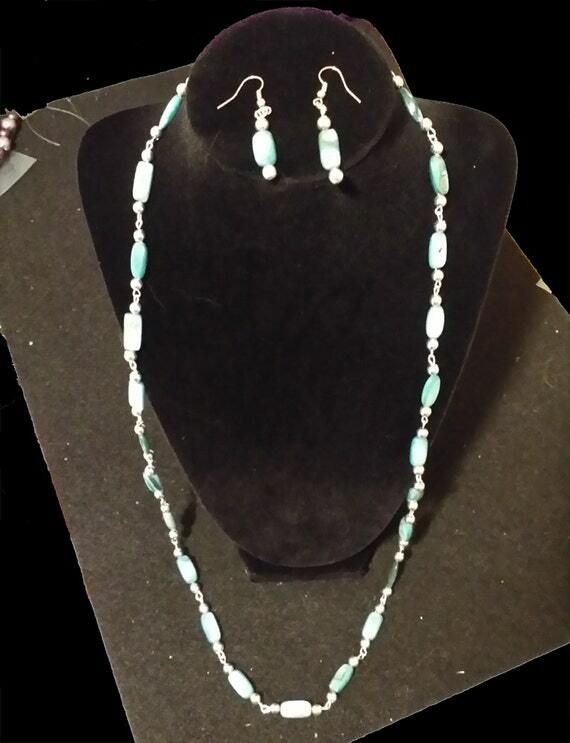 Matching earrings and bracelet are available. 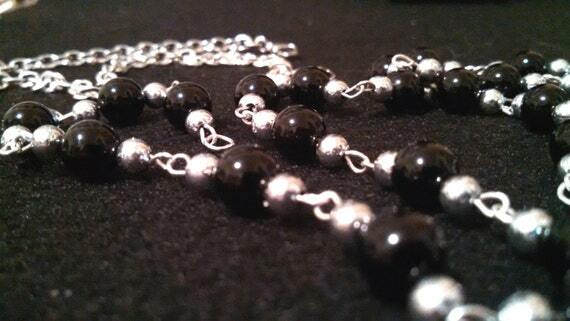 Two in One Onyx Necklace.